Returned last night from a long weekend in Dallas, TX. Some of you don’t know me personally. My education and first career was in music. 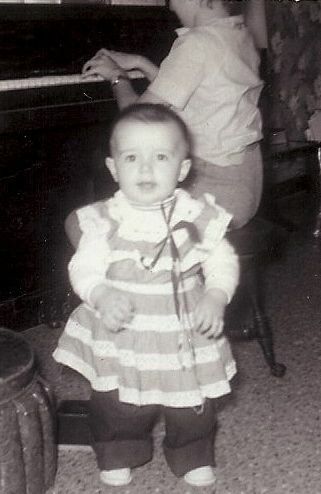 I’m been a slave to all forms of musical pageantry since my sister put a dress on me and stood me beside the piano bench singing “Oh, yippee-i-o-ki-ay, yippee-i-o-ki-ay”. I may live in a world of home fashion and FABULOUS events but my passion will always be deeply rooted in marching bands, drum and bugle corps, colorguards and any opportunity to parade, process or promenade. I’m very fortunate to be involved with Tim Newburn and the cast of Cypress Independent Colorguard from Houston, TX. 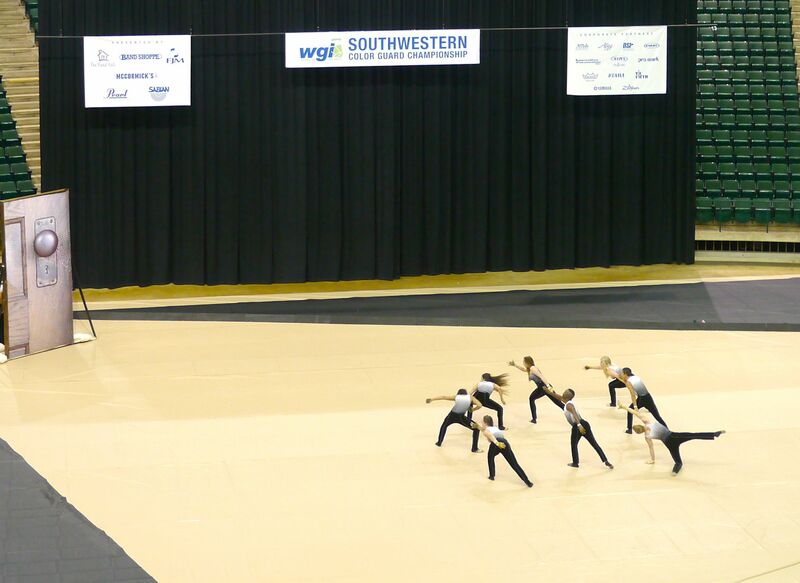 This weekend we were in competition at the Winter Guard International Southwest Championship at The University of North Texas. I got to enjoy the company of incredibly generous and gifted staff members Krystle, Juan and Tim as well as see the amazing adroitness of the cast face to face. Cypress had a wonderful weekend of growth. Their soundtrack is a really fresh version of Carole Kings “You’ve Got a Friend” performed by my dear friend Tommy Keenum. You can download the project at iTunes…just search Tommy Keenum. Cypress’ 2013 program “Soon I Will Come Knocking” captured the regional title for the second year in a row. Pardon my redundancy but after judging in the activity for many years I’m so blessed to move to the “other side of the table” and work alongside such great “friends”…nil magnum nisi bonum. Okay, I know most of you are saying where’s the food. I’m starting you off with a SHOCKER!!! We left after lunch on Thursday and stopped in Texarkana for the evening…are you ready? 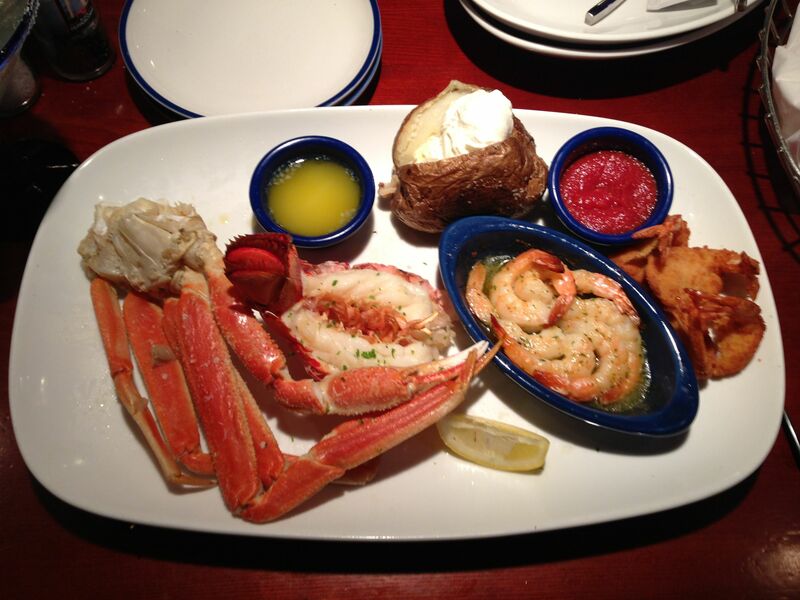 Red Lobster for dinner…with gift cards!!! It was fresh and delicious, the margaritas were perfect and the service was great. We had a very enjoyable dinner, Brandt schooled them on the hazards of standing water on the kitchen floor, we used our gift cards and WALKED next door the TownePlace Suites by Marriott…which was contemporary, clean and comfortable…AND less expensive on the Marriott website than at Priceline…hmmm!!!! Friday we drove to Dallas but not before stopping in Mt. Pleasant for the incredible Beef Brisket at Blalock’s BBQ. 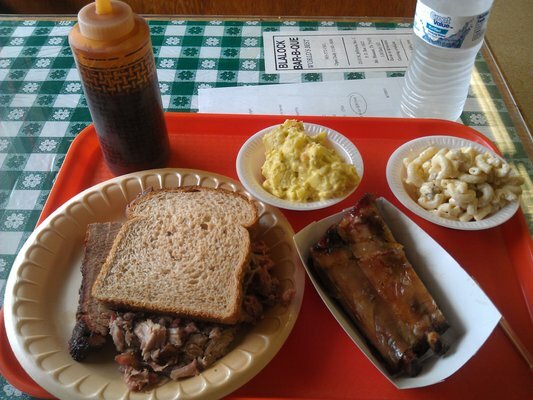 We found it several years ago and make a point to stop going and coming…Texas Q at it’s best. We are both Francophiles at heart…we love all things French…especially French Country cooking. While all the East Memphis homes are dripping in French Country fashion…there’s not one Provencal dining establishment in the Bluff City. Thus, on our travels I always shop for good French Classic or Country restaurants. This time I found Boulevardier…OH MY!!! 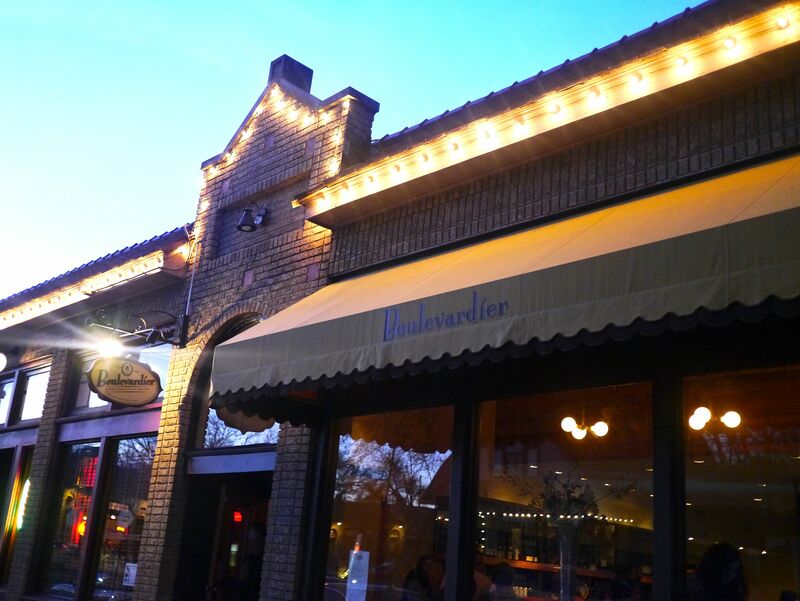 This little jewel is in the Bishop Arts District…on a side street…and feels just like you’re in Avignon. They tried to seat us at a two top with wooden chairs. I asked to be moved to the chic chair and a half banquette in orange and khaki and the hostess winked at me and moved us right on over. Great food and atmosphere, very attractive and attentive staff and just downright enjoyable. 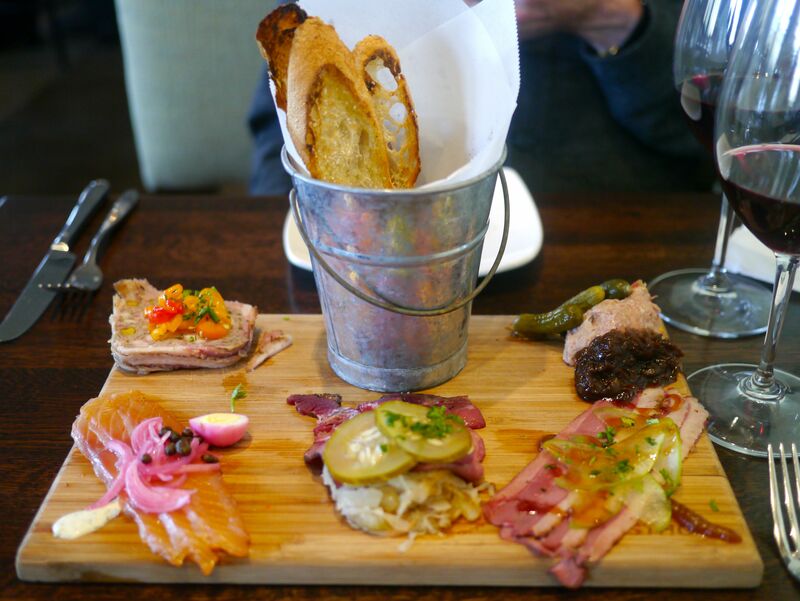 We started with the “Big Platter”…an amazing presentation of in-house Charcuterie. Country pate, smoked salmon, beef tongue, ham pastrami and pork rillettes with the perfect accompaniments and beautiful, thinly sliced, lightly charred baguettes. I’m a fool for Moules and Frites. 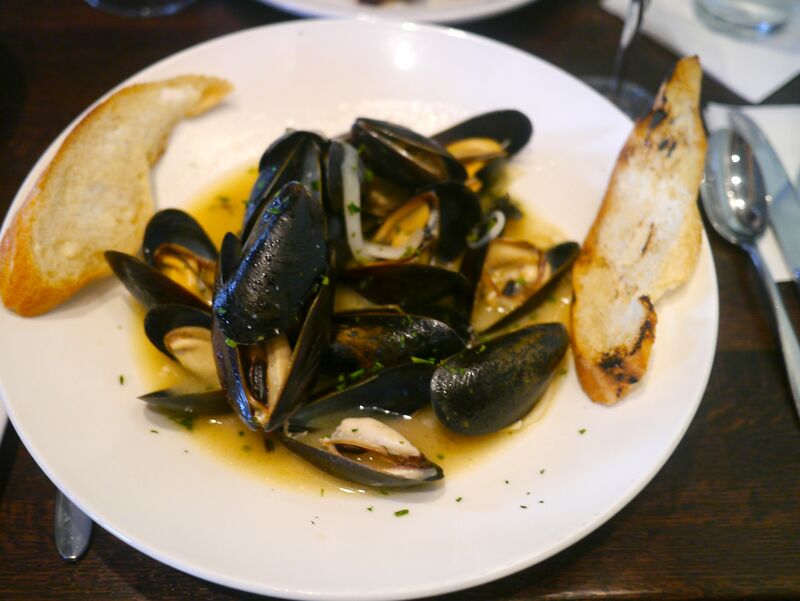 I had six incredible gulf oysters to start but had to have these beautiful Mussels, as well. They should bottle the broth for the mass market…just spectacular. 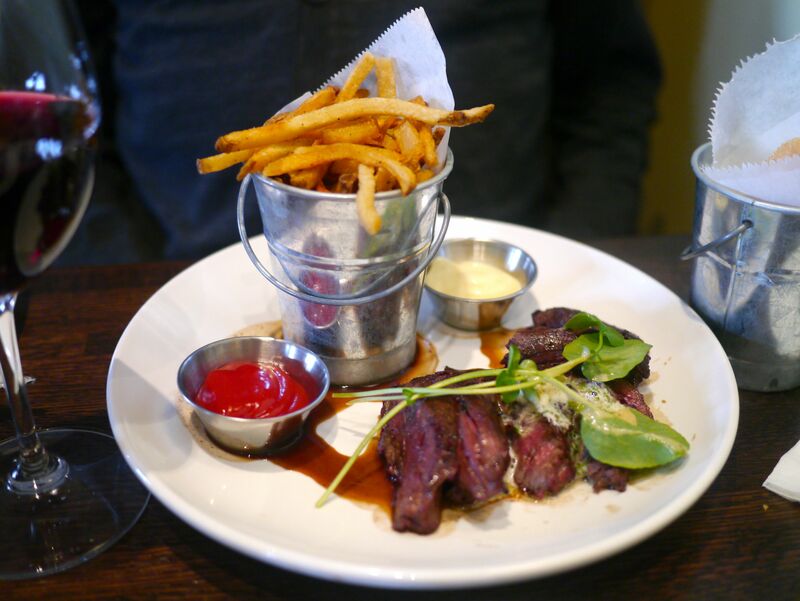 Brandt had the Steak Frite…hangar steak, medium rare with crispy frites accompanied by American Ketchup and a tangy Garlic Aioli. 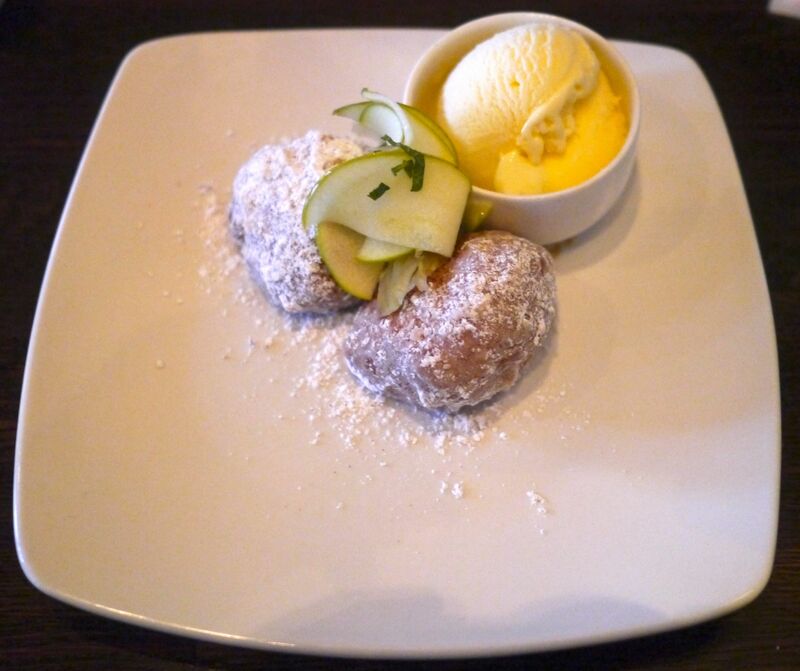 We finished the meal with Boulevardier Beignets accompanied by Granny Smith Apple and Fennel with the perfect ice cream. Friday and Saturday evenings we stayed in Arlington at a very clean, comfortable and contemporary Hyatt Place. I don’t mean to take you on a culinary roller coaster but it is what it is. Saturday, we had breakfast/lunch at Cracker Barrel. Believe it or not we only wanted a few minutes to be seated and Brandt had a delicious breakfast with some incredible Southwest sausage and I had their “like mammas” Chicken and Dumplings. Again, it is what it is…good food is good food…it doesn’t always have to always be dressed up. 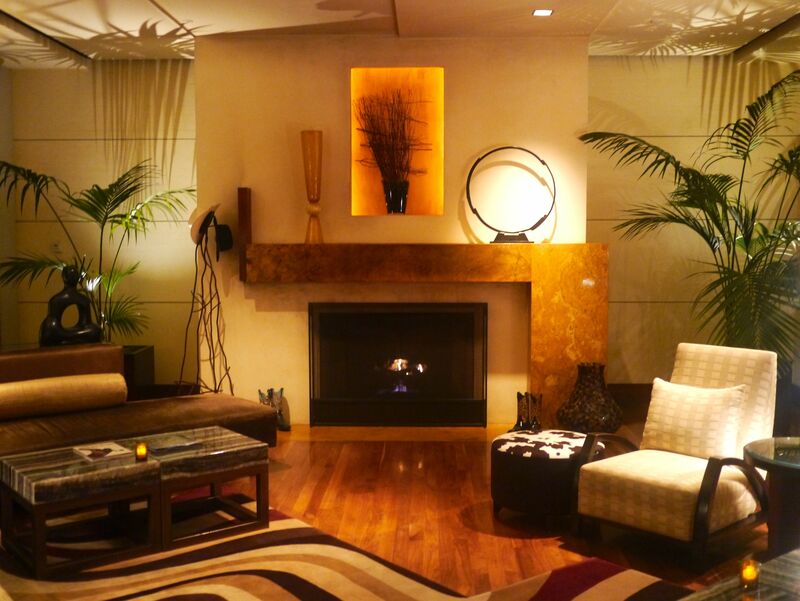 Sunday after the show we drove back to our favorite hotel in Dallas…Hotel Palomar. It had been several years since we stayed there and can only do so when we find it on one of the discount websites. It’s beautifully designed and the amenities are over the top. Wine on welcome, milk and cookies before bed, coffee/tea in the morning and great customer service. I could easily live in the lobby. Sunday evening we enjoyed the company of our sweet friend Sandra Clark at Spoon Bar & Kitchen. What an incredible way to top off an already wonderful weekend. Sandra originally from Drew, MS, an Ole Miss alum and member of “The Group” is always a joy and Spoon far exceeded all our expectations. I kinda made our own tasting menu. We began with three selections from the Crudo and Appetizer selections. 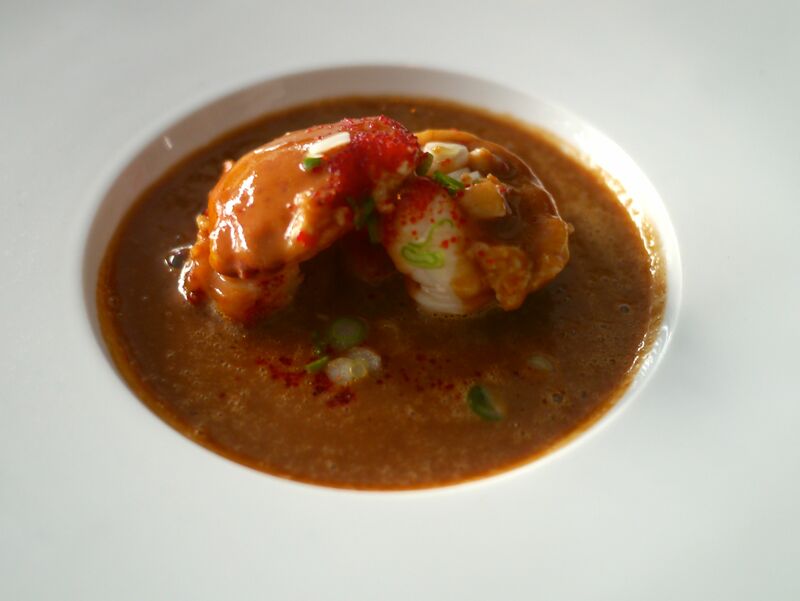 We had Singapore Style Chili Lobster…certainly one of the top three sauces I’ve ever tasted…absolutely competitive with Marc Forgione. I would love to try them side-by-side. 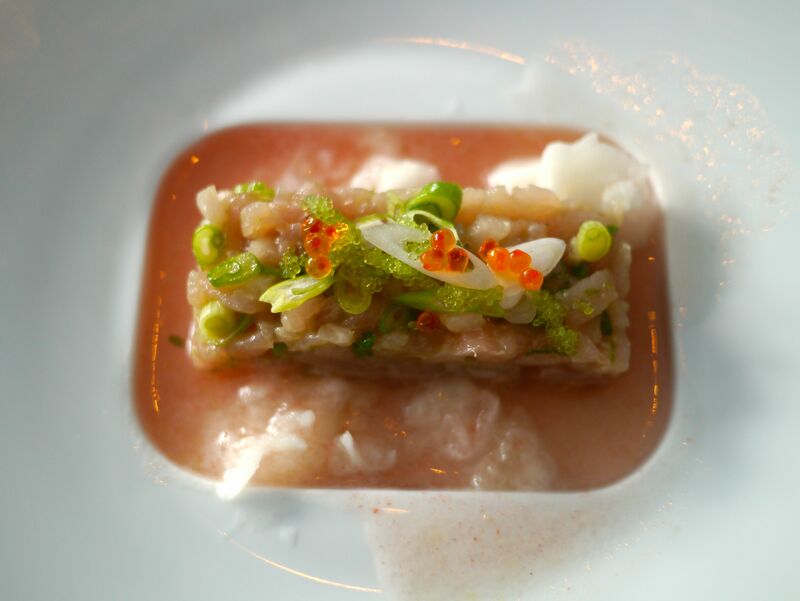 We also enjoyed a Hamachi Tartare in Tomato broth which was a breath of spring in Crudo form. 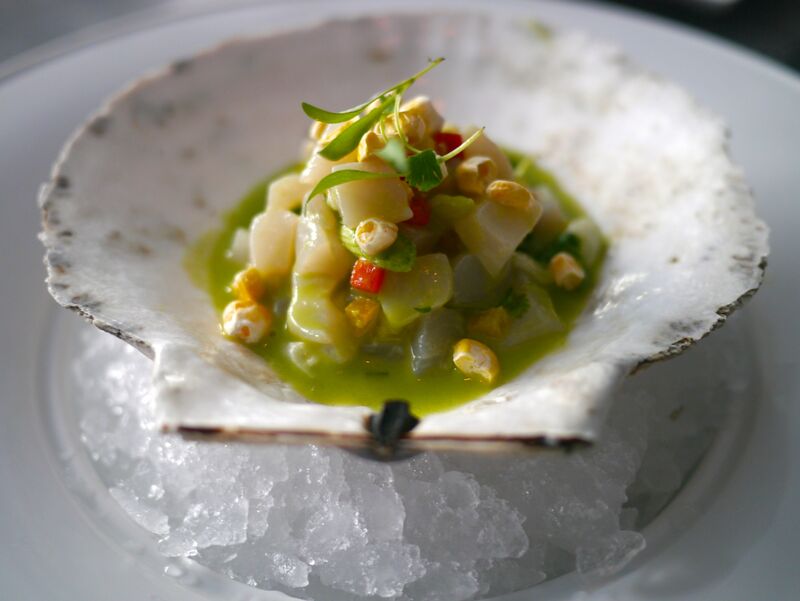 And, we had a succulent Scallop Ceviche with dried corn…hear me and hear me clearly…the presentation was only surpassed by the perfectly complex composition of flavors. We also had three entrée sized portions. 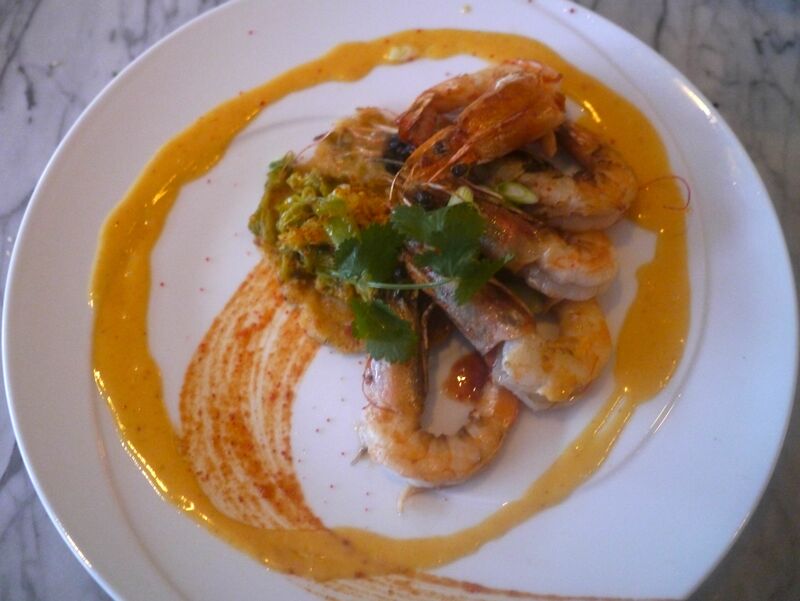 I allowed the chef to choose one entrée and he selected the Maya Shrimp with Kimchi Pancake. 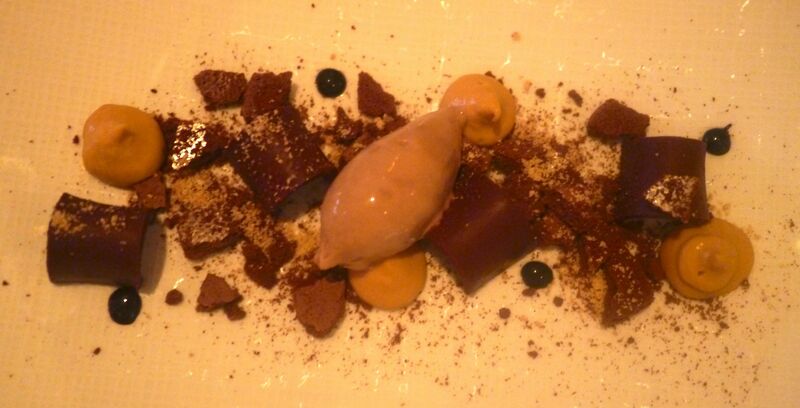 Again, only the perfect combination of flavors superseded the work of art that was the presentation. 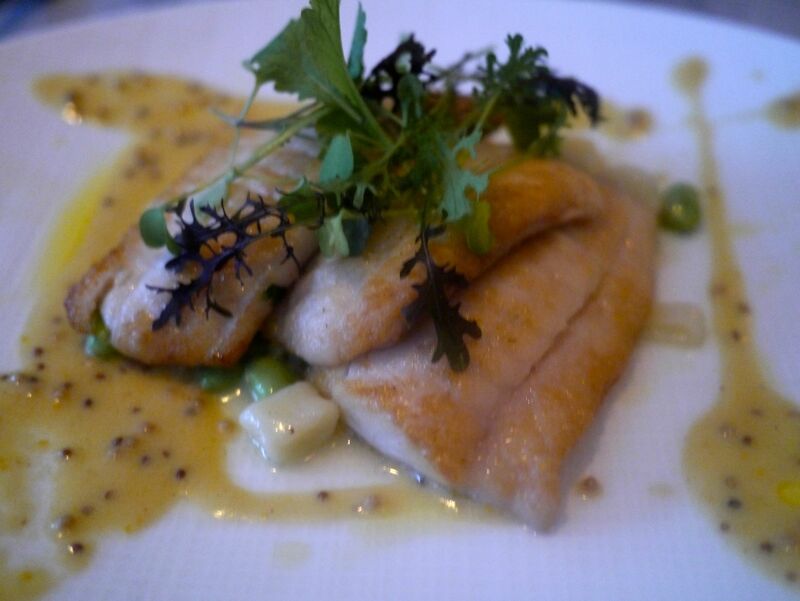 The Gray Sole was so delicate and the gnocchi that danced around the plate made for the perfect starch to marry the fish to the citrus and mustard sauce. 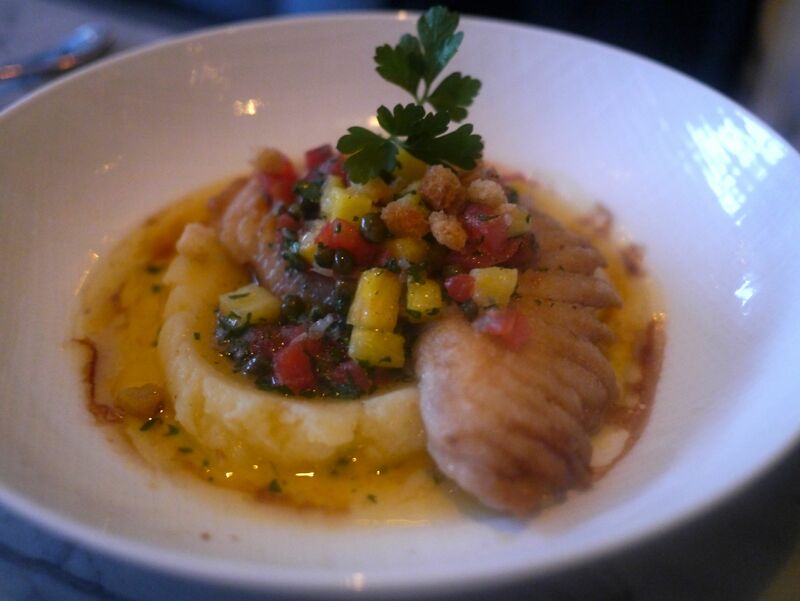 Finally, we had Skate over potato puree with pineapple and peppers…fresh, inventive and very tasty. 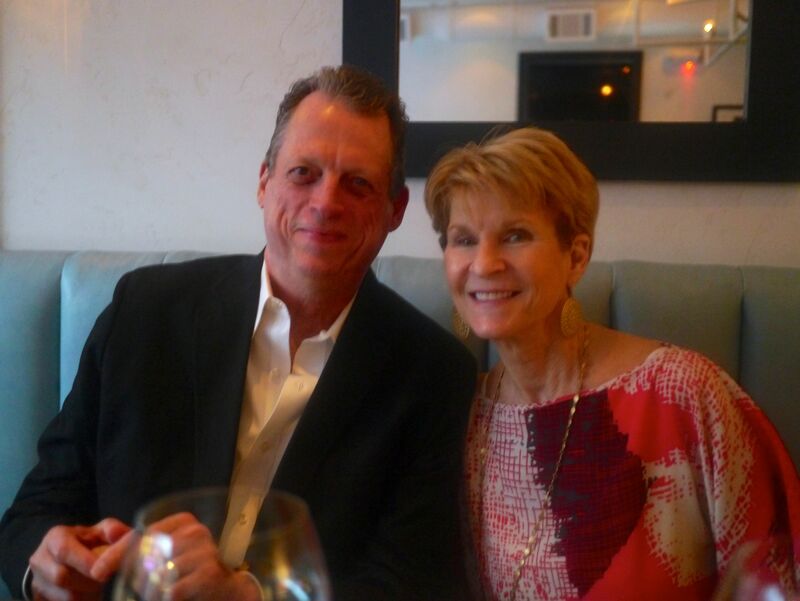 The service was impeccable and the interior is a reflection of the East Hampton kitchen of Chef John Tesars mother. The whole place is so unassuming. For us it would be considered a special occasion destination…you have to pay for attention to detail. We enjoyed an amuse bouche, a pre-dessert and a post-dessert. And, yes we actually had a dessert, too…making it a ten-course tasting dinner…plus, a glass of Bouvre Champagne and Artesa…a beautiful spanish Albarino chosen from the wine selection ON AN iPAD!!! This is a combination of Caramel and Chocolate in every texture you can imagine…smooth, soft, hard, crunchy, velvety, warm, cold and PERFECT!!! Over the top visually but the perfect confectionary end to an amazing dinner. We saw several lovely “houses”, visited/worked with some great friends and YES a good time was had by all!!! Fantastic photos! Sounds like a fun trip.